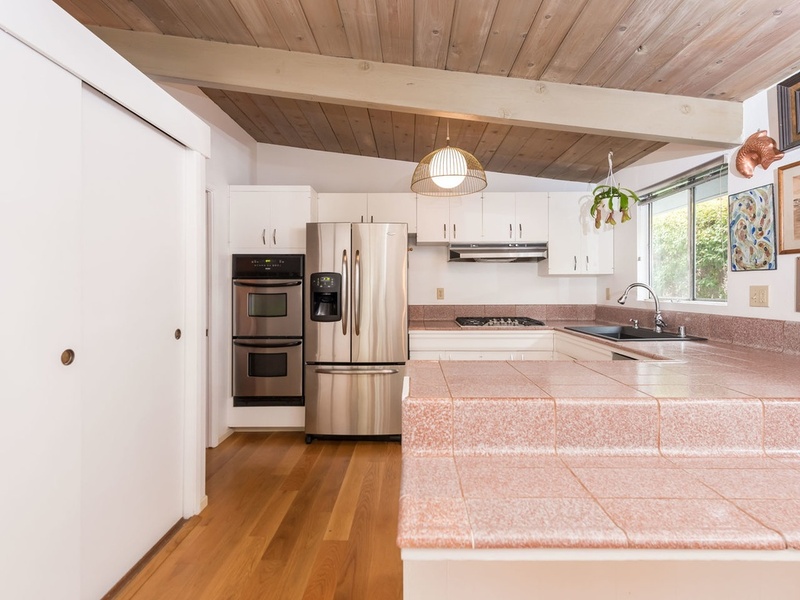 Up for grabs is this pristine and clean vintage Palmer & Krisel-designed home in San Diego’s College Glen Estates neighborhood. 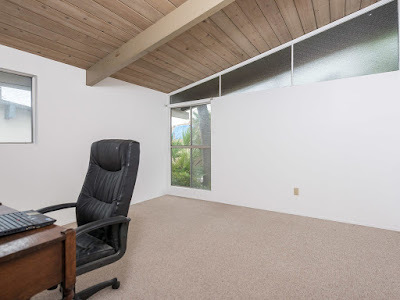 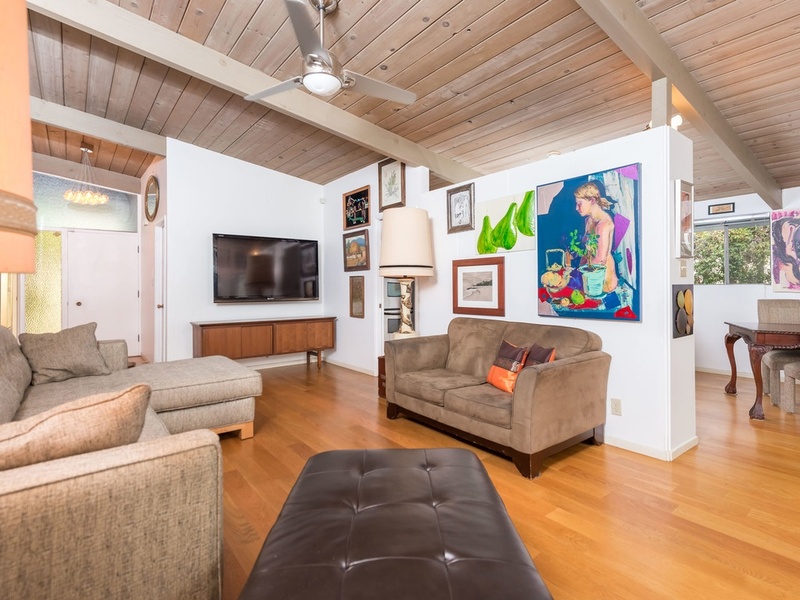 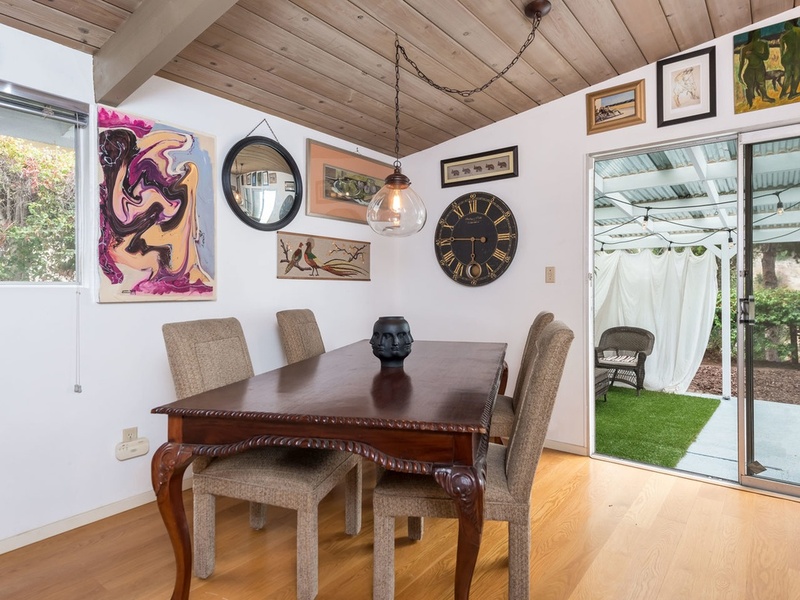 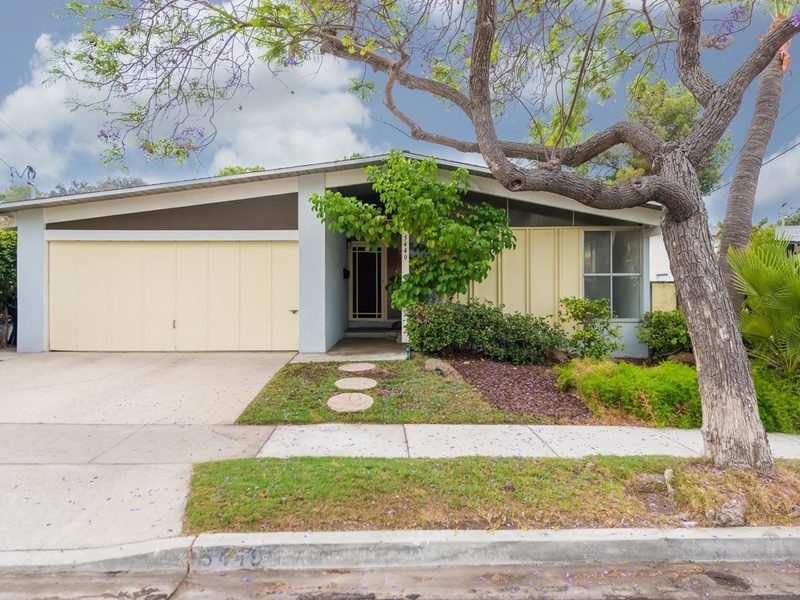 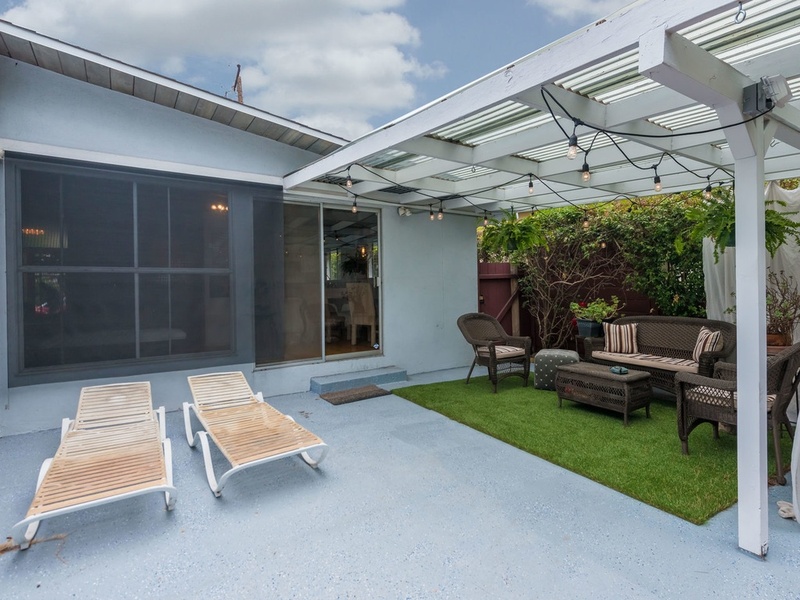 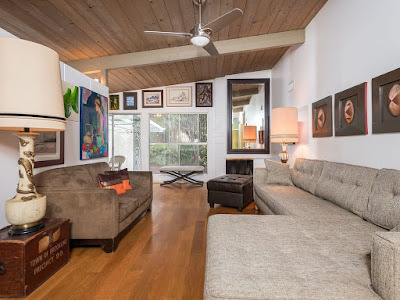 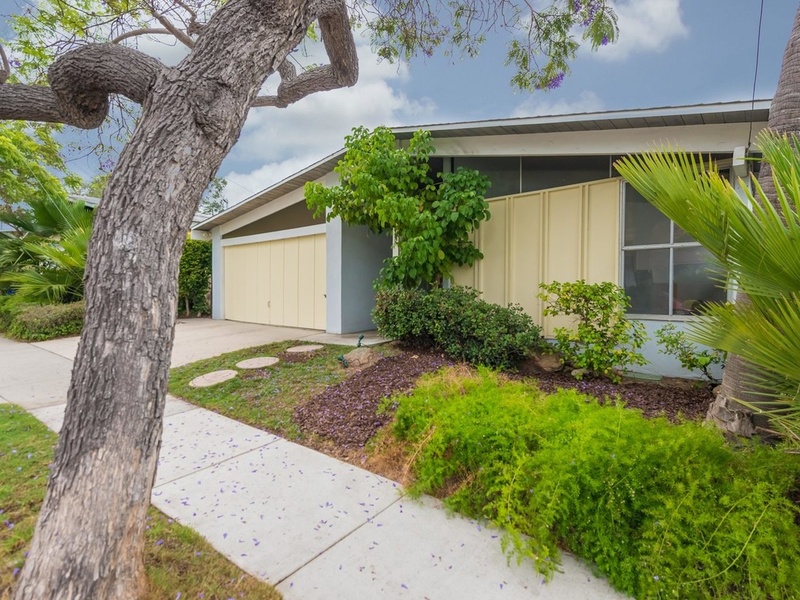 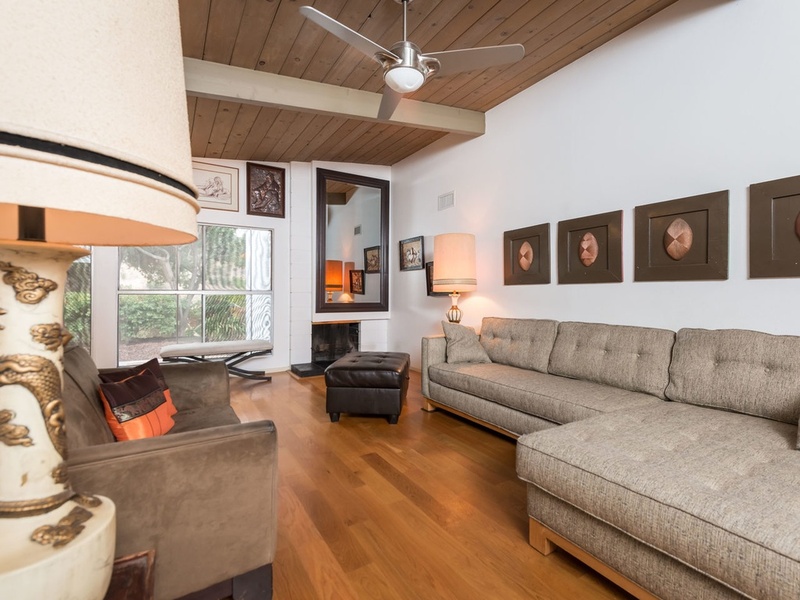 Built in 1960 by the Drogin Construction Company, this home includes four bedrooms and two bathrooms in 1,492 square feet on an 8,200 square-foot canyon view lot and carries an asking price of $629,000. 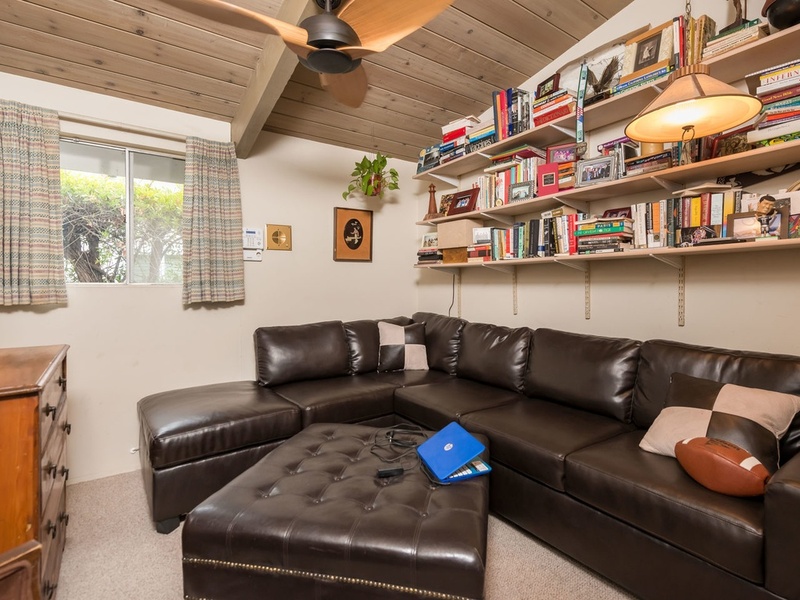 Like most homes in College Glen Estates, this property sits near the street with a shallow north-facing front yard. 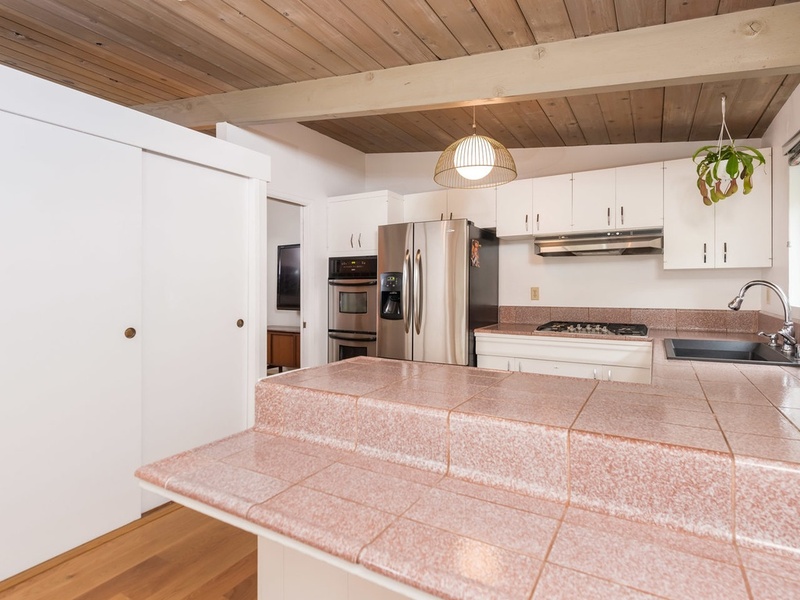 The exterior of the home appears to be in near pristine original condition, with original windows, board and batten detailing and original clerestories all still in place. 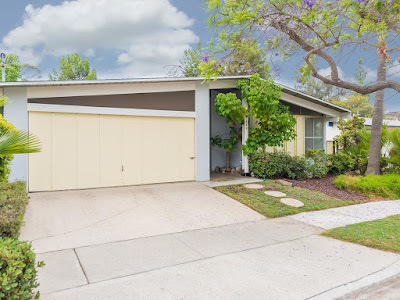 Even the garage door appears to be original or a well-chosen replacement, setting the well-kept vintage tone for this home. 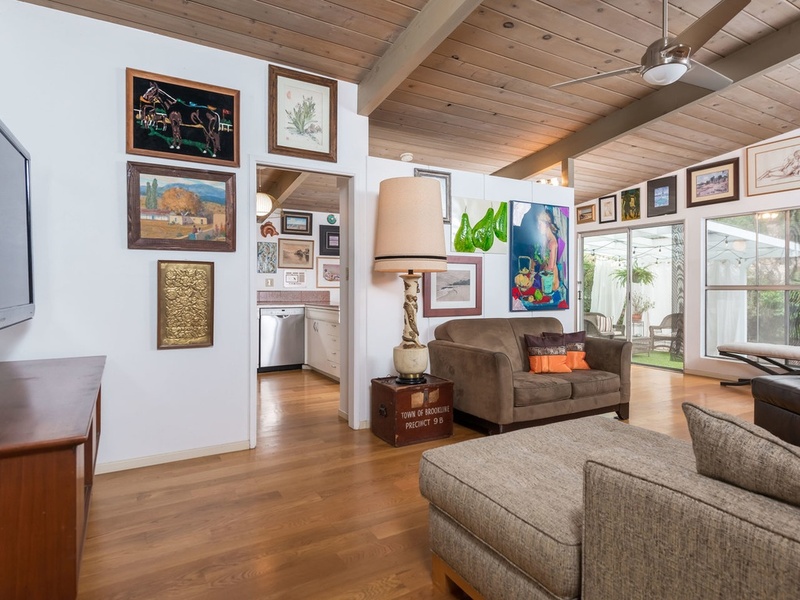 The front door with vintage amber sidelight below a clerestory window opens into a small entry hall that doubles as the entry from the garage. The hall leads into the long, linear and open living room which features its original open beamed vaulted ceilings, and signature modernist fireplace anchoring the southern end of the room. A ¾ height wall divides the kitchen from the living room, and the dining room sits at the rear of the home overlooking the backyard and open to the kitchen. This kitchen is nearly pristine as it was when it was built, with original cabinetry and salmon-colored tile countertops. 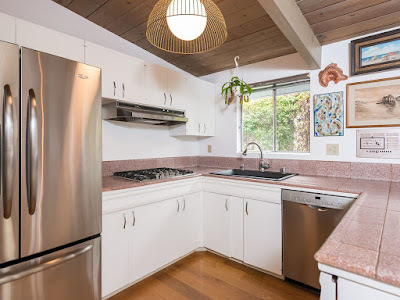 The appliances have all been updated, and a vintage light fixture and retro-style cabinet pulls top off the room. 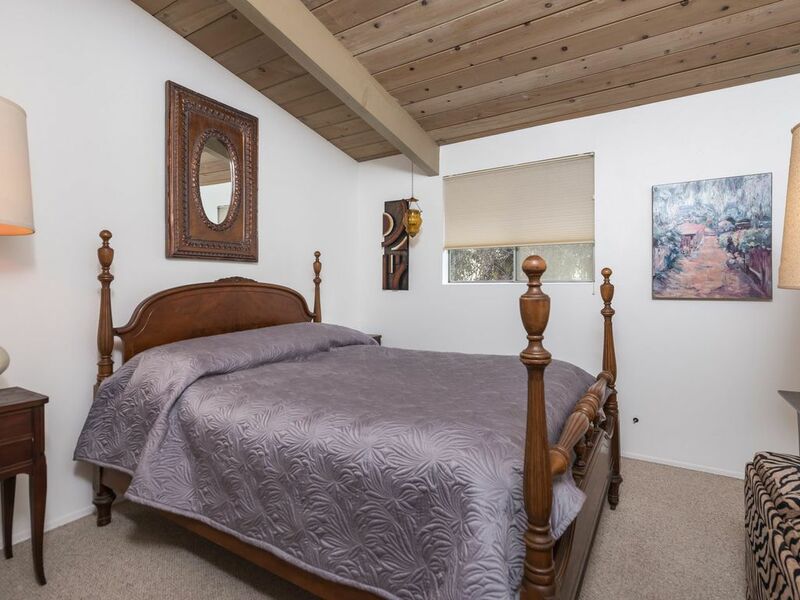 The four bedrooms are all located along the west side of the home, with the master bedroom at the rear of the property overlooking the backyard. 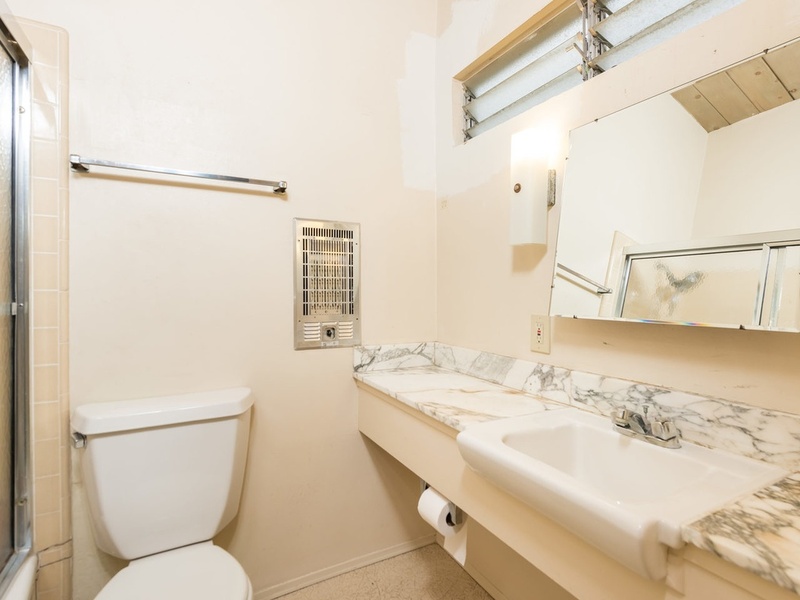 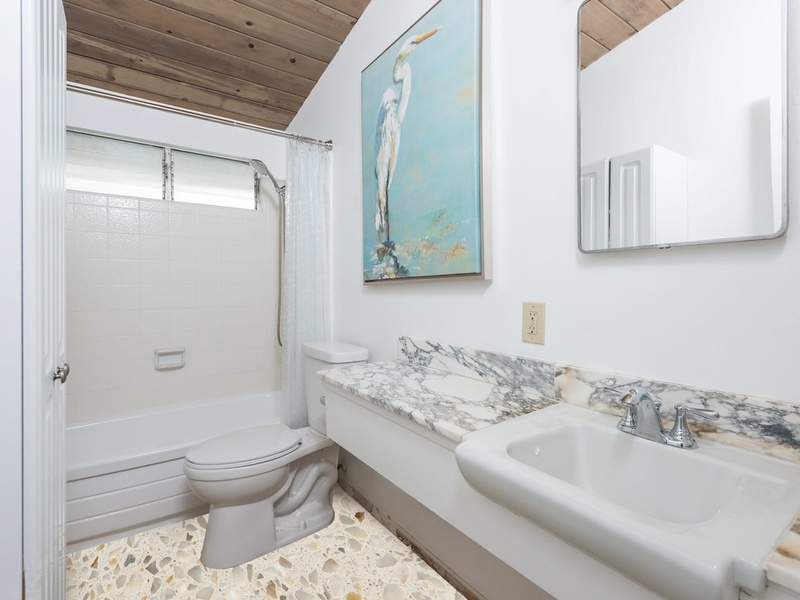 The master bathroom is as pristine and retro as the kitchen, with original vanity, American standard Pullman, wall heater, vintage light fixtures and tub surround. 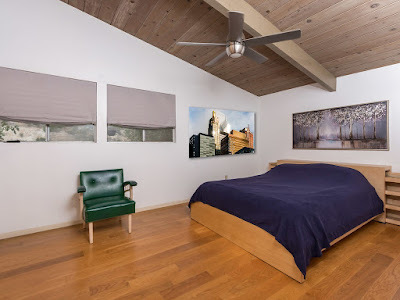 The guest rooms all feature their vaulted ceilings, and are modest in size, while the front bedroom features a floor-to-ceiling window with clerestories above. The guest bath still features its original vanity, sink and medicine cabinet, while the tub and surround are newer replacements. 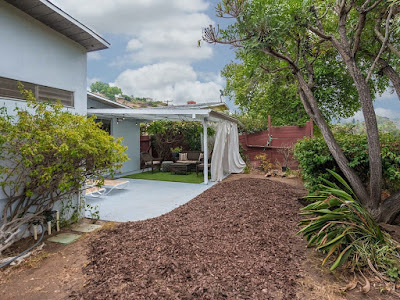 While the property sits on a large lot, much of the backyard is a ravine area, which reduces usable space but provides for wider views than a standard yard. 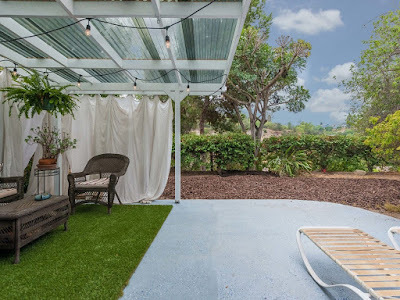 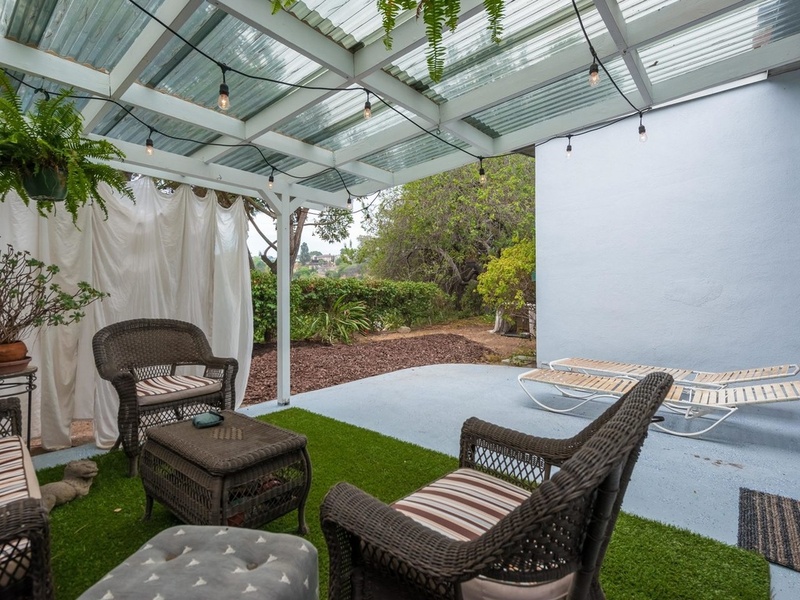 A covered patio sits off the living and dining rooms, and the remainder of the usable yard is mulched with trees and shrubs serving as a visual barrier of where the yard drops off. This home appears to be in remarkably well-preserved condition, with lots of great original features and characters that are definitely well-worth preserving.